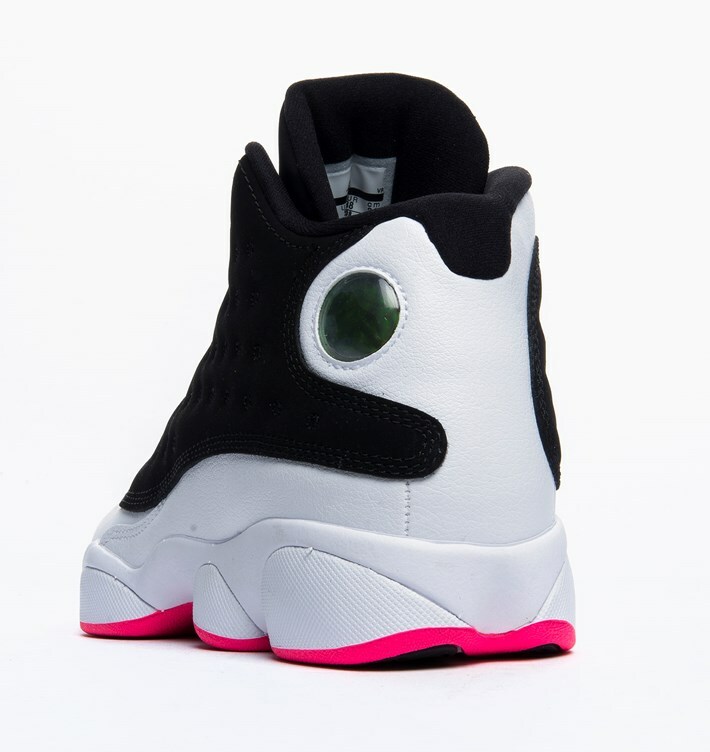 A GS pair of the AIr Jordan 13 that wears pink, black, and white. 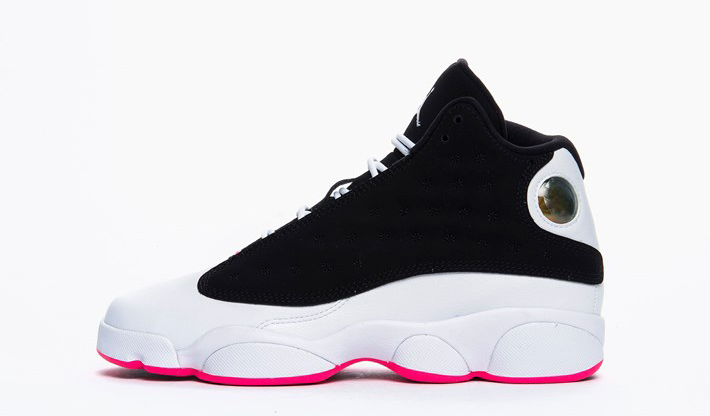 A brand new Air Jordan 13 GS colorway has surfaced. 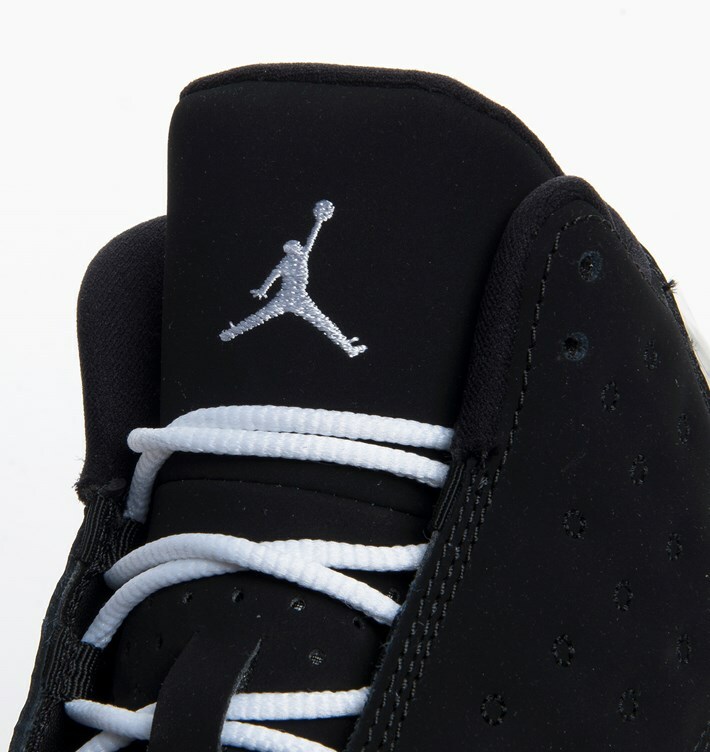 The GS range of Air Jordans is consistently one of the more surprising ones, as the pairs of that persuasion are less prone to leak out before their release. 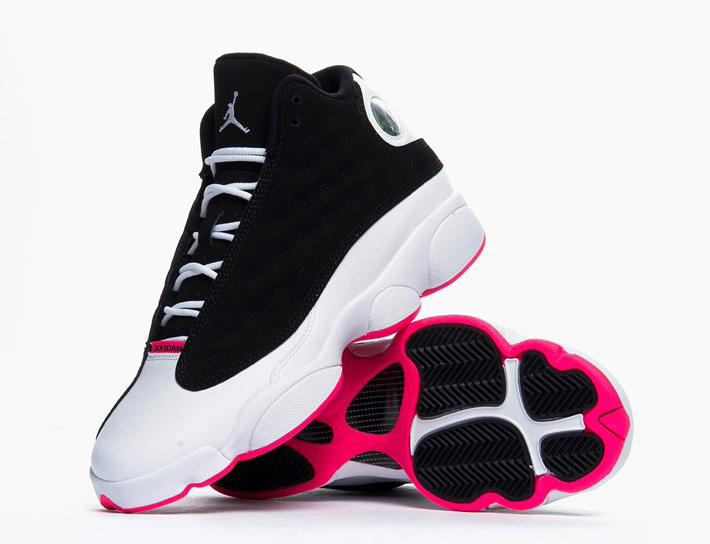 And so, this Jordan XIII is already available at retailers (Albeit only at European ones so far). 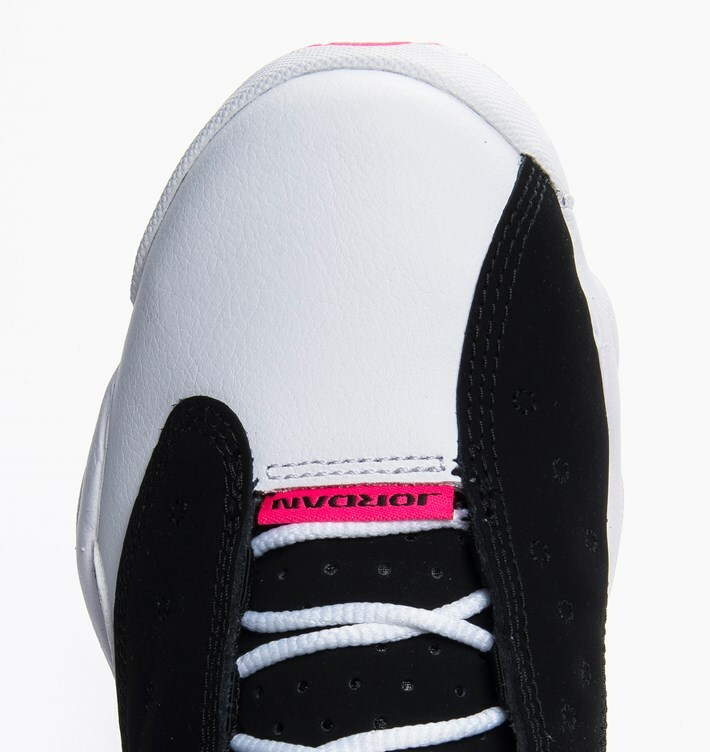 The shoe does feature a black and pink combination, but doesn't end up too "Yeezy" looking thanks to a heavy dosage of white. Get a better look at this brand new Air Jordan 13 via these images and then import the pair from Caliroots if you're feeling them.